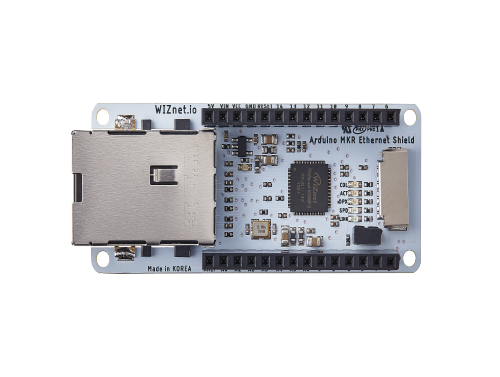 W5100S MKR-Ethernet shield is designed using the WIZnet W5100S chip. Please click the link for the further information about W5100S. It supports both 3.3V & 5V. 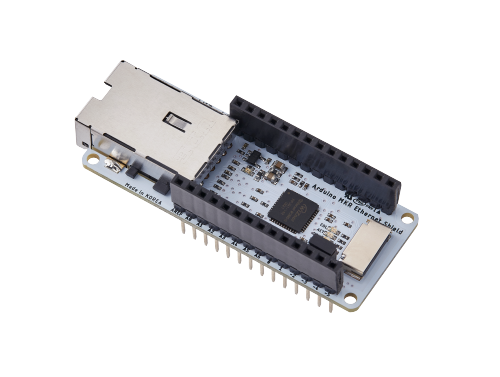 This Ethernet Shield is compatible with Arduino MKR Platform. 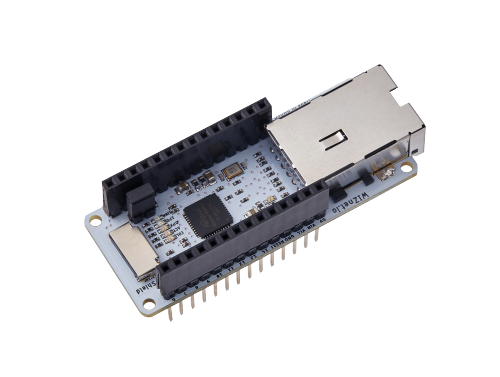 The W5100S MKR-Ethernet shield is compatible with the Arduino Ethernet Shield (W5100).